The Michael Schmidt case provides a textbook example of the importance of the subordination of government to law, which this author maintains, is humanity's greatest achievement. “What is the greatest human achievement? Many would answer in terms of some architectural or engineering feat: The Great Pyramids, skyscrapers, a bridge span, or sending men to the moon. Others might say the subduing of some deadly disease or Einstein’s theory of relativity. 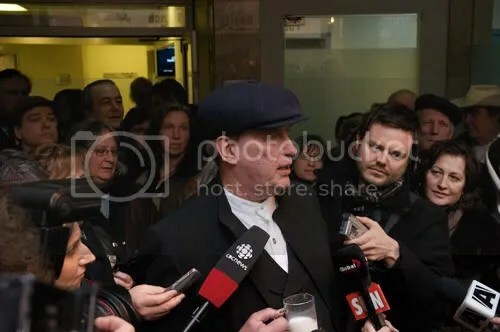 “Grey County farmer Michael Schmidt and raw milk advocate wins his day in court and a recent survey indicates more than one third of Canada’s dairy producers think consumers should be able to buy unpasteurized milk. 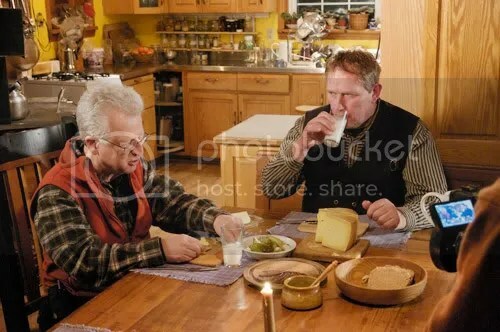 On the eve of the verdict, David E. Gumpert shares raw milk and cheese with farmer Michael Schmidt while the two of them were waiting to be interviewed for an upcoming documentary series on milk. How the recent Michael Schmidt ruling could affect raw milk cases in B.C. 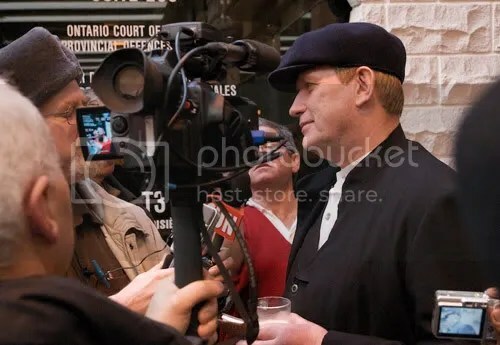 Gordon Watson of Home on the Range cowshare in Chilliwack muses about how the recent not guilty verdict for Michael Schmidt in Ontario will affect legal proceedings against B.C. cowshare operators. Raw milk farmer Michael Schmidt meets the press after the announcement of his "not guilty" verdict. 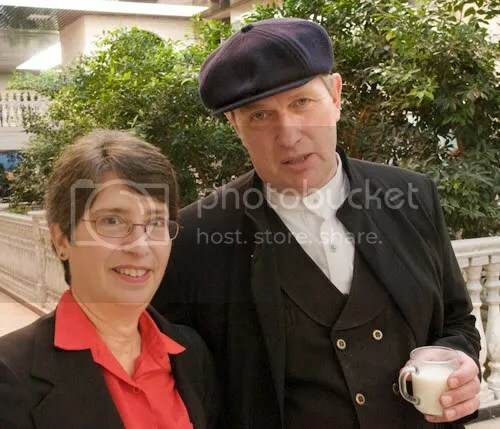 On January 21st, 2010 the arrangement known as “cowsharing” was pronounced ‘not unlawful’ by Justice of the Peace Paul Kowarski, in the case of Regina versus Michael Schmidt: files #4960-3084-3089/07 and 3270-3271/07 Ontario Court of Justice at Newmarket Ontario.